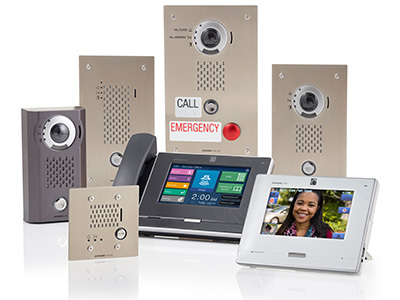 Reliable security, simple functionality, and sophisticated design; you get it all with this affordable video intercom. See, hear and speak to visitors before allowing them inside. The JF Series supports 2 video door stations and 3 interior master stations. With built-in picture memory, the system can automatically record visitor calls or can be activated manually. Installation is quick and easy using just 2 wires.